I’ve had some great discussions with friends and family since writing the first half of my conversation on God and fantasy. I hope that these continue, for both myself and all of the readers out there, and that we are all able to grow with them. This week, I want to talk about four fantasy writers and how their works have interacted with my faith: C. S. Lewis and J. R. R. Tolkien today, Guy Gavriel Kay and Phillip Pullman later this week. To many Christians (especially of the evangelical sort), Clive Staples Lewis is something of a hero. As the writer of one of the best-loved children’s novel series, apologist to the working class, and theologian with a flair for words, C. S. Lewis captures the heart of people around the world. In the past week, I’ve had a couple conversation about the man, and heard him quoted more than once in a sermon. As the Narnia books are adapted into movies, it seems that Lewis’ fame is spreading further each day. As one of my favourite authors, this makes me quite happy. 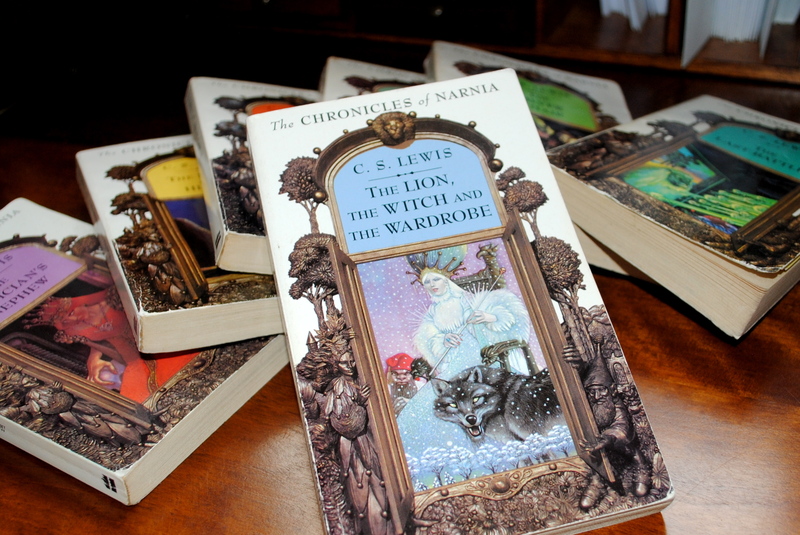 My first interaction with C. S. Lewis’ writing was as a child, when I read the Chronicles of Narnia for the first time. I remember loving the stories of adventure and excitement, of exploration and heroism. I loved the tone of the books, like a grandfather speaking to his grandchildren, always relatable and full of funny commentary. Yet, at that age, I did not understand the Christian underpinnings of the Chronicles. Lewis has been both applauded and criticized for creating a fantasy that is an analogy for Jesus Christ and His works. Lewis, however, vehemently opposed the idea that the Chronicles of Narnia were analogous at all. He merely began writing of another world, one inhabited by talking animals. In such a world, he believed Jesus would arrive as a lion, and Aslan was created. However, the parallels between many of the Narnia narratives and the biblical stories can be glaring at times. The Magician’s Nephew incorporates many aspects of the Creation as recounted in the Book of Genesis. The Lion, the Witch, and the Wardrobe shows an alternate version of the crucifixion and resurrection. The Last Battle showcases an interpretation of what Heaven will be like. C. S. Lewis did not, however, utilize only Christian imagery in his series. Narnia is populated with gods, spirits, minotaurs, fauns, dwarves, centaurs, giants, witches, and unicorns. Lewis drew from classical mythology and European folklore to create a cast far more varied than often seen in fantasy. He was able to draw symbols and images from around the world to tell the story he wanted to tell. As someone who is also fascinated by mythology, I enjoyed Lewis’ references to classical characters and creatures in creating a fantasy world that is both familiar, yet decidedly his own. Even without from the specifically Christian themes, the Narnia series teaches both children and adults about bravery in the face of terrible opposition, about loyalty to those who matter most, about redemption from past mistakes, and about being children and growing up. I have since reread the series a few times, and look forward to reading it with my children in the future. Perhaps no other author has influenced fantasy in the way that J. R. R. Tolkien has. His world, Middle Earth, has become the standard High Fantasy realm for the next generations of writers. His description and use of elves, dwarves, wizards, and goblins have become standard in fantasy books, movies, and games. His orcs, a race he created for the The Hobbit and The Lord of the Rings, have become so prevalent that few fantasy games do not have some variety of orc as an enemy at some point. Tolkien’s legacy in fantasy writing is definitely without question. Fewer people know that J. R. R. Tolkien was a devout Catholic and a longtime friend of C. S. Lewis. Tolkien was even instrumental in Lewis’ conversion to Christianity (although not to Catholicism, much to Tolkien’s chagrin). However, Tolkien was not impressed by the Chronicles of Narnia, for he believed that the Christian imagery was far too strong. Tolkien preferred to lay his Christian themes further beneath the surface. The stories of Middle Earth often sound like they’ve come straight out of the Bible, had they not included dragons, elves, and hobbits. 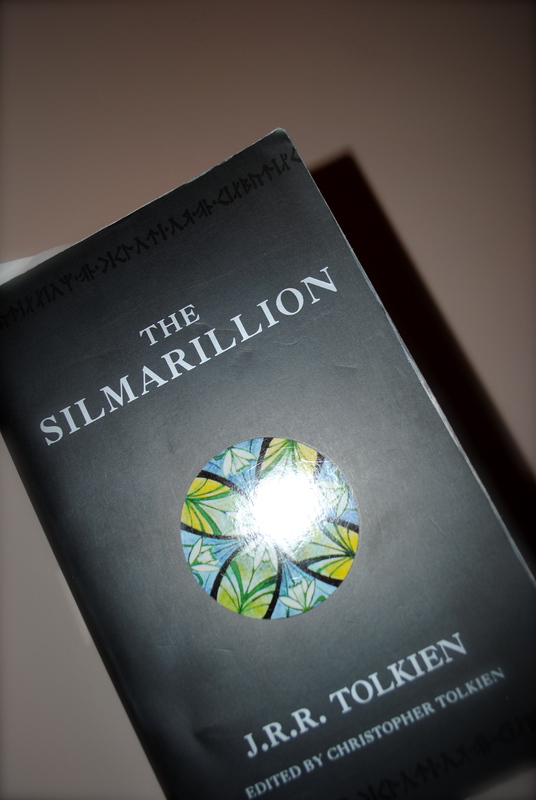 Tolkien was able to capture the feel of the Old Testament and turn it into The Silmarillion, his Creation and early history story for Middle Earth. Even with several powerful otherworldly beings, Tolkien held onto monotheism, with his God referred to as Iluvatar. Throughout the book are tales of brave and steadfast heroes and tragic stories of leaders who fall to their own pride to become villains. Tolkien also drew from (primarily Norse) mythology for the creatures and monsters that inhabit Middle Earth, but his understanding of mythology and it’s place in “Faery Stories” is far more strict that that of Lewis. The Hobbit was written for children, and teaches kids through the eyes of Bilbo Baggins. Through the story, they learn that the world outside is full of beautiful goodness and terrifying evil. They learn that it takes courage and teamwork to overcome the evils that they will face in the real world. They are able to go on the adventure with Bilbo and the dwarves, yet return to the place they began, a place of safety. The Lord of the Rings continues the theme of good battling evil, while increasing the stakes with courage, determination, and self sacrifice. The theme of power comes to the forefront as the entire world seeks the One Ring, and its destiny is tied to that of the entire realm. Tolkien shows us that absolute power is not meant for mere mortals, for no created being is capable of wielding it without becoming corrupted by it. We also learn that we must all work together if we want to overcome the evils of this world. Race, age, and social class cannot separate us if we wish to have peace on Earth. In the end, both C. S. Lewis and J. R. R. Tolkien wrote stories from the point of view of their faith in Jesus Christ. They used magic and fantasy as tools to tell truths that may have been too big to tell without them. There is something very magical about the God of the Bible, and it is that magic that these two authors harnessed when they authored their fantasy series. If He is the source of our inspiration, and we are careful to bathe our writing in prayer, then I see no harm, and much good, that can come from the utilization of magic in fantasy storytelling. But what do you think? You’ve made it to the end of my longest post yet, and I really want to know what your thoughts on Tolkien and Lewis are. Did they honour God with these stories, or have they drawn you further from your Creator? Come back later this week, as I finish the series with two other fantasy authors who tackle the issues of religion and faith. What is the name of the book that treats Lewis, Tolkien and others who write in a somewhat similar fashion?